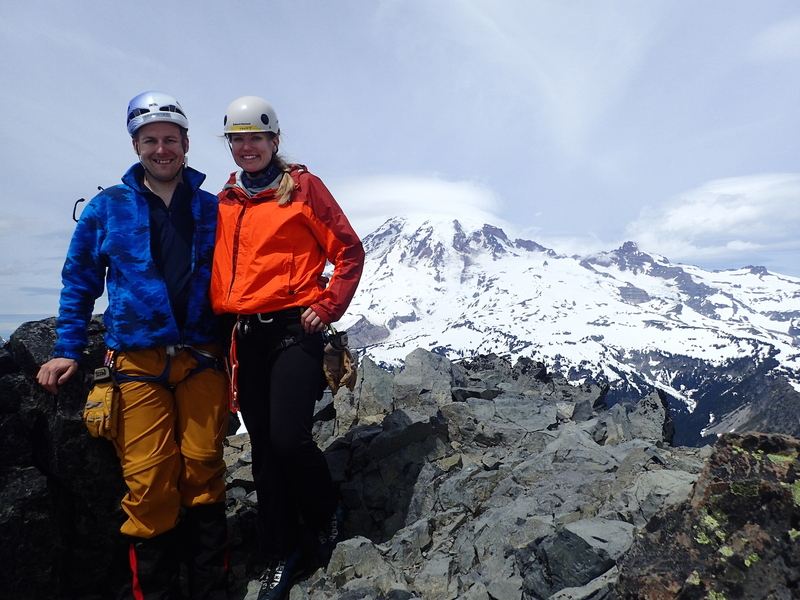 On June 1, Jenny and I summited Unicorn Peak in the Tatoosh range, just south of Mount Rainier. I had been particularly excited about this climb, because the Bench Lake/Snow Lake hike had been my first hike in Washington state, and aside from Mt. Si, it’s probably also the one I’ve done most often. I’ve looked up towards Unicorn Peak so many times, I just had to climb it. We had the perfect day in the mountains. 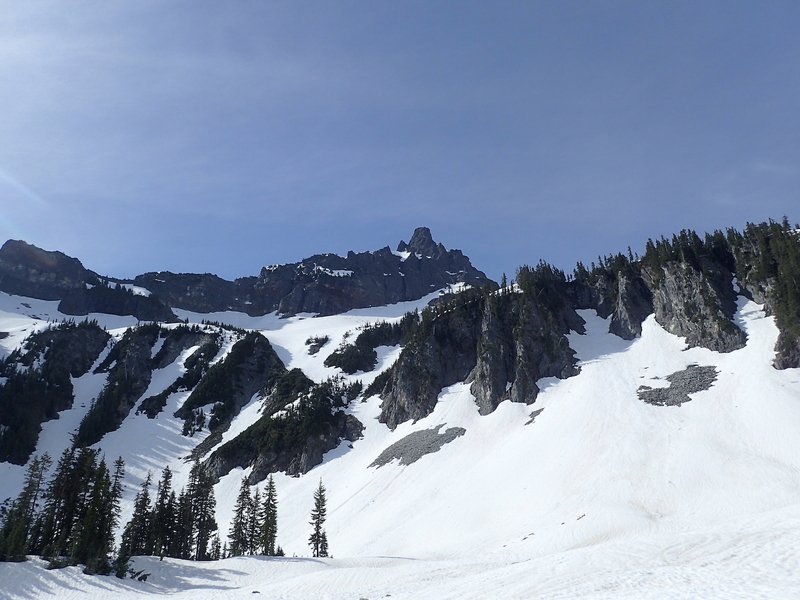 The snow started between the ridges, before we got to Snow Lake. 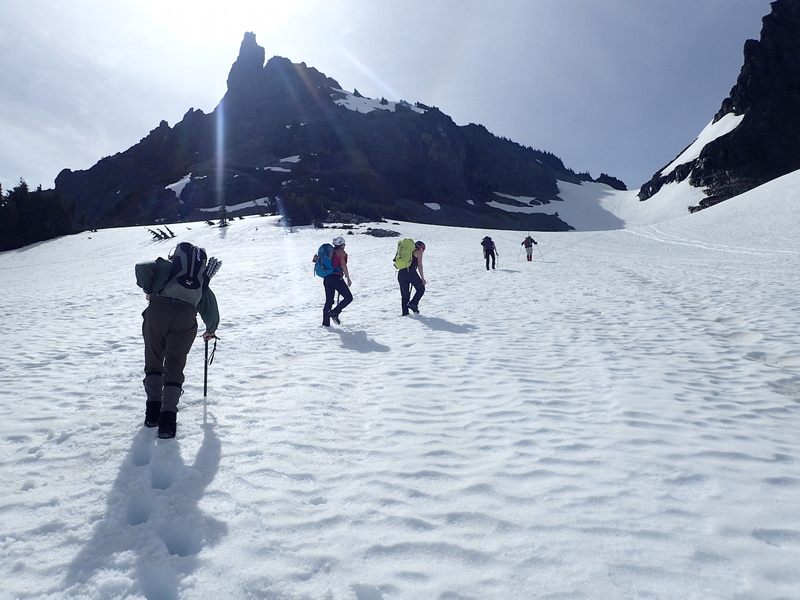 It was a steep but relatively easy ascent up the gully and the snowfield. From the col to the west of Unicorn Peak, we could see the ever-present Mount Rainier, but also Mount St. Helens, Mount Hood, and Mount Adams. A four volcano spot! It was cool to see Mount St. Helens, since we had just summited it three days earlier. 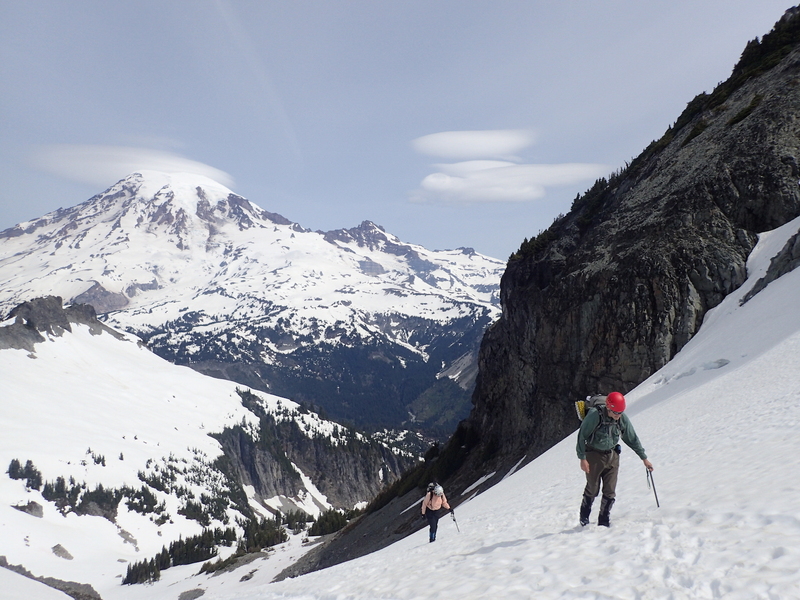 We climbed across a small moat from the snow onto rock and made a relatively simple single-pitch ascent from the south. 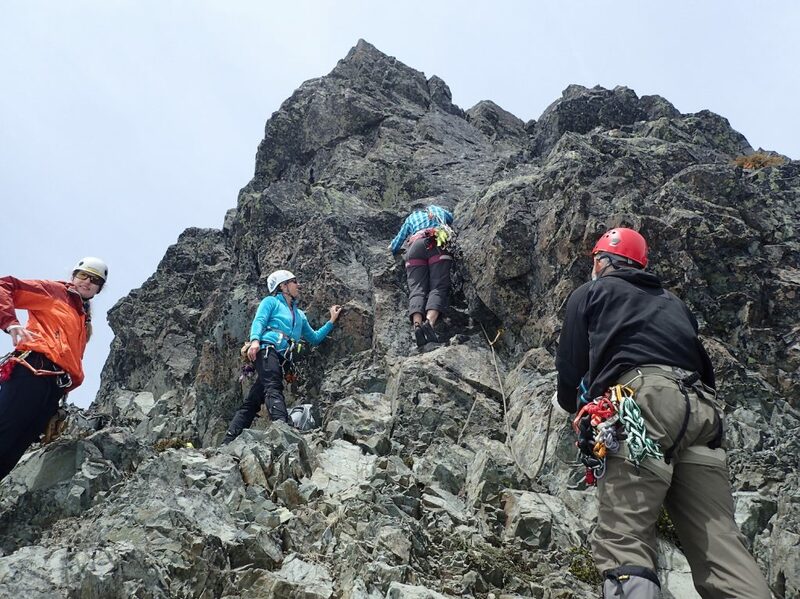 The rappel, also on the south side, was a bit weird, since the fall line carried us a bit far to the west, but it was still easy and enjoyable. It was a great day with great people.